is closed tomorrow April 3 for Good Friday. numbers headed in opposite directions. increased 13.3 points to 135.7, compared to the previous seven days. index dropping 6.6 points to 7.7. March 26, 28, 29 and April 1. April 28 before declining again. and 29 on April 26 and 27.
and unsettled conditions April 3.
daily sunspot numbers ending on March 31. 108.4, 107, 104.7, 107.8, 98.2 and 78.1.
we can see big differences from day to day. just 16 db and gradually increasing to 20 db at 2000 UTC. morning hours on the Atlanta end. I don't know why this is. year and 25 db this year. 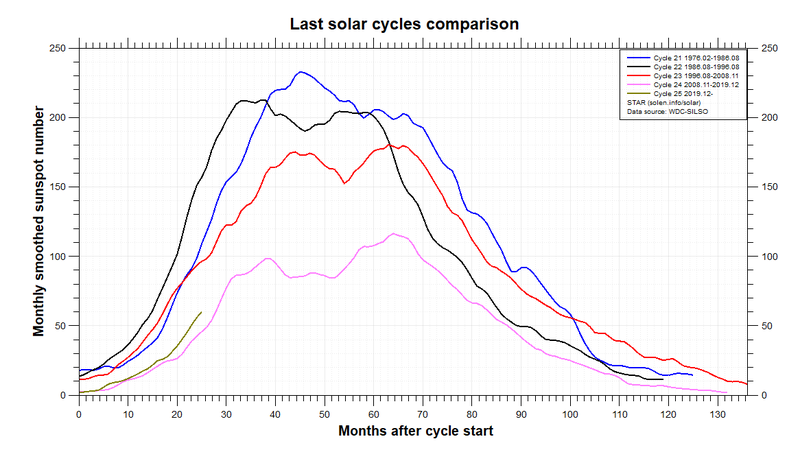 At www.solen.info/solar/ are many other comparisons. 145.6, 144.5, 133.6, 128.1, and 124.1, with a mean of 135.7. 7, and 8, with a mean of 7.7.